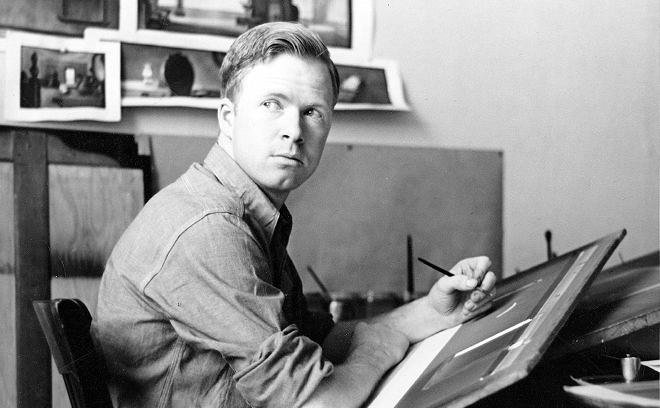 Paul Julian (1914 – 1995) was an American background artist, titles designer, and director. He was most noted for his work as a background artist for Warner Bros., United Productions of America (UPA), and Hanna-Barbera. He was also a title designer for many B-movie films, particularly those directed by Roger Corman. As a background artist, he worked primarily for director Friz Freleng's Tweety Bird and Sylvester shorts. His warm and tightly-cropped urban scenes were also featured early in his career in the 1946 Bugs Bunny short Baseball Bugs, and in the Daffy Duck short Golden Yeggs. Julian also provided the Road Runner's "Meep! Meep!" sound. He went uncredited for his voice work, due to Warner Bros.'s contract with Mel Blanc giving Blanc exclusive credit for all "voice characterizations;" no voice credits were given in shorts that did not use Blanc's voice (which included most of the Road Runner and Wile E. Coyote shorts). 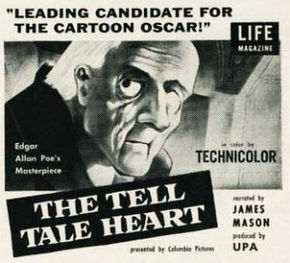 As a director, Julian directed the animated films Baby Boogie (1955), and The Hangman (1964). Recreated pan-backgrounds from The Hangman painted by Paul Julian. As a title designer, he had a long working relationship with Roger Corman providing artwork for many of his movies, including Dementia 13, The Terror, and Attack of the Crab Monsters. In 1992, he was a background artist for the Bill Kroyer-directed Fern Gully: The Last Rainforest. Paul Julian died in 1995 in Van Nuys, California.